Militants have been blocking repairs at the damaged pipeline. The Ukraine-controlled town of Tortesk in Donbas has had no water supply for six days after a pipeline which delivers 90 per cent of the required volume was damaged by shelling, according to RFE/RL. According to Toretsk deputy mayor Serhiy Vynnyk, the pipeline goes from militant-controlled Horlivka. Although repair teams were ready to go to the site the next day, they have not received security guarantees from the militants. 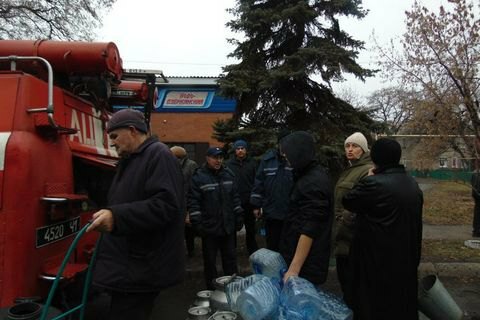 Currently, the Toretsk authorities have water delivered by tankers, however most of it is ingested into the central heating system to prevent it from freezing.